Henry Hewitt arguably controlled more lumber than anyone else in the Pacific Northwest as the 19th century was coming to a close. A founder and major shareholder in the St. Paul and Tacoma Lumber Company (largest sawmill in the world) he also owned huge tracts of forestland in British Columbia, Michigan and Arkansas. No surprise then that three of his five children, John, Henry and Clara (Mrs. Charles Lea), decided to venture into a start up enterprise selling houses made out of lumber. The big difference in their company was that they delivered the house by railroad-in pieces. John and Henry were invested in several mills that began supplying specialty cut lumber to home and barn builders in the mountain states and Dakotas. They realized the financial opportunity of shipping pre-cut buildings by railroad to regions where timber was scarce and with their family’s wealth they dove in big time. In July, 1914 the Hewitt-Lea-Funck Company began business with a million dollar stock capitalization, a sprawling sawmill and covered trackside yards in Sumner that covered almost 20 acres, shipping offices in Tacoma and sales office and headquarters in Seattle. The enterprise was ambitious, not only in the logistics and complexity of shipping entire houses with up to 30,000 precut pieces to customers as far off and the mid-west but in going toe to toe with competitors like the mail order catalog giants, Sears and Montgomery Ward, the world wide industry leader Aladdin Homes and regional companies like Gordon-Van Tine Homes of Davenport Iowa (which later moved their mill to Chehalis, WA.). Kit homes were also known as pre-cut or catalog houses and from the very beginning they were resented by lumber yards and carpenters since they bypassed their local products and skills. 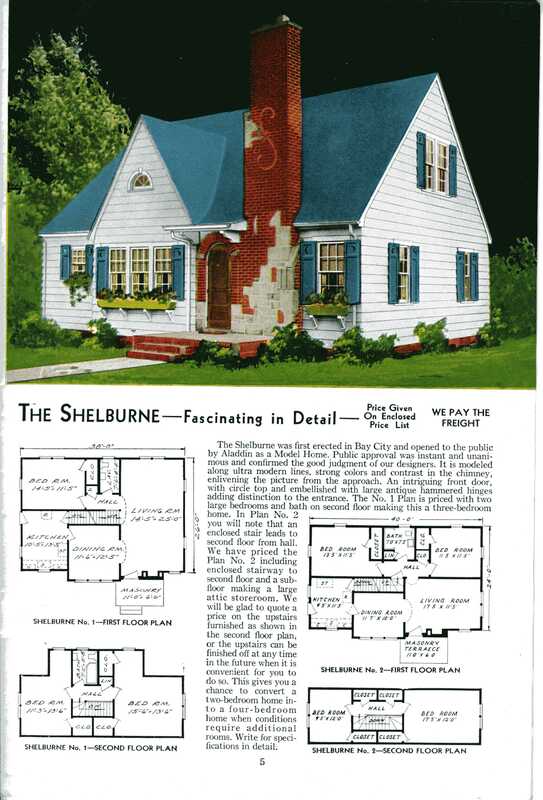 Glossy, beautifully designed catalogs lured would be home owners into buying picture perfect bungalows and arts & crafts cottages at a fraction of what they cost on the street with an address, mailbox and next door neighbors. Kit houses never made up more than 2 or 3% of home building annually but during the first three decades of the 20th Century American cities and neighborhoods were booming and thousands of the put together buildings were sold and assembled across the country each year. Bungalows, romantic styled cottages, colonials and particularly Arts & Crafts influenced houses that celebrated their wood detailing were the most popular models. 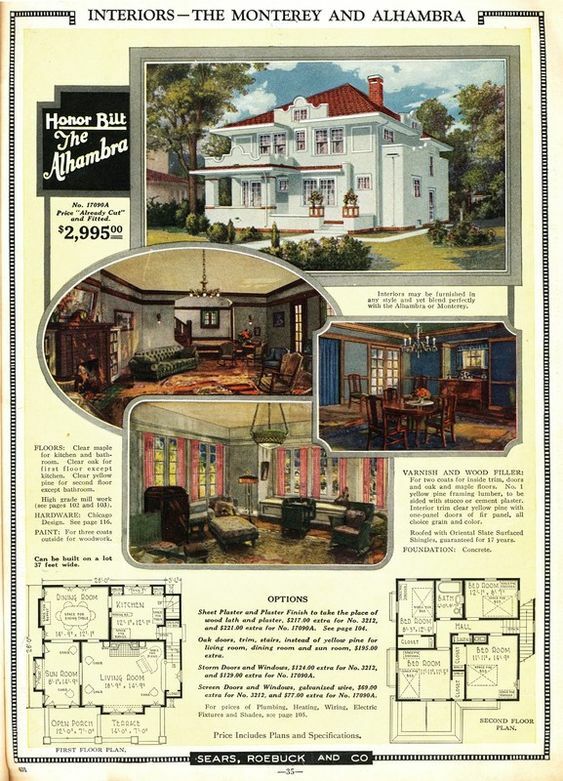 Even when the kit houses were not purchased, builders and homeowners bought the catalogs and copied the designs. In Tacoma, the ubiquitous Tudor cottages around the University of Puget Sound are a streetscape catalog of kit house architecture. their own land (usually close to the rail line), dig and install their own utilities and building foundation and arrange transportation from the railyard to the building lot. Along with the cut lumber the package included windows, doors hardware, barrels of nails and fasteners, and even plumbing fixtures and a furnace as extras. enterprise thrived selling mostly along the northern tier of states as far east as Illinois. The only non family member in the company ownership was W. C. Funck, a “mail order man” from St. Louis. He was a bad apple and just before the First World War started he began cutting corners on the quality of materials in particular the grade of wood which was unforgivable to Henry Hewitt, the pioneer. By 1922 the Hewitt’s left the company and the surviving Funck Company stopped printing catalogs, selling houses and running the huge milling operation in Sumner. He went back to selling silos. The HLF mill was sold to an aircraft maker who used the specialized tools and equipment to shape light strong spruce into wings and airframes. The company records were lost but even today people crawling through the attics and closets of old houses come across that wood burnt symbol that resembles a Stickley trademark-HLF. I’ll take a river view with that, please! Sharing in the Forgotten Washington page on Facebook.